An incredibly rare original Teletouch theremin built by Professor Leon Theremin himself will be auctioned by Sotheby's auction house on December 12th. 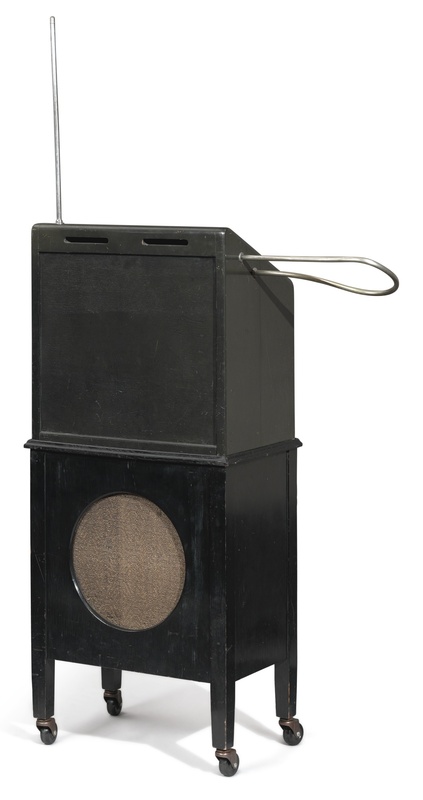 The theremin is listed as being fully restored and in operational condition. While there are no positively identifying markings inside the cabinet, this instrument features several characteristics of other Teletouch theremins of the era and is believed to be one of possibly 10 theremin prototypes from the company. The Teletouch Company was Leon Theremin's second attempt at commercial success with his instruments after the original 500 RCA model AR-1264 theremins were produced. Official listing and more information available at sothebys.com. Bidding begins on December 12, 2017 at 1:00pm EST.